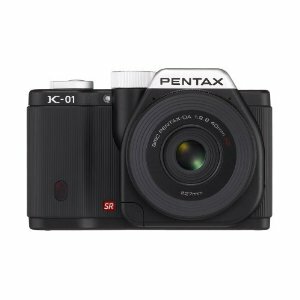 Photography Blog has tested a new mirrorless compact system camera from Pentax called Pentax K-01. The digital camera comes with 16 megapixel and a bit unusual design. Photography Blog does not give the K-01 a very good review. Overall the Pentax camera gets an “Above Average” rating (which is pretty low) with 3.5 stars out of 5 possible. The camera scores highest on image quality, a bit lower on ease of use, while it scores lowest on features, value for your money and design. The reviewer finds the camera body to be pretty big and not much smaller than a regular DSLR. The Pentax has some good features like pretty high end video quality and the image quality, but let us hope Pentax works a bit harder with the next camera in this series. Read the full review of the Pentax K-01 mirrorless compact system camera here.